The apartment was clean, comfortable, and has a lot of space and all needed tools. 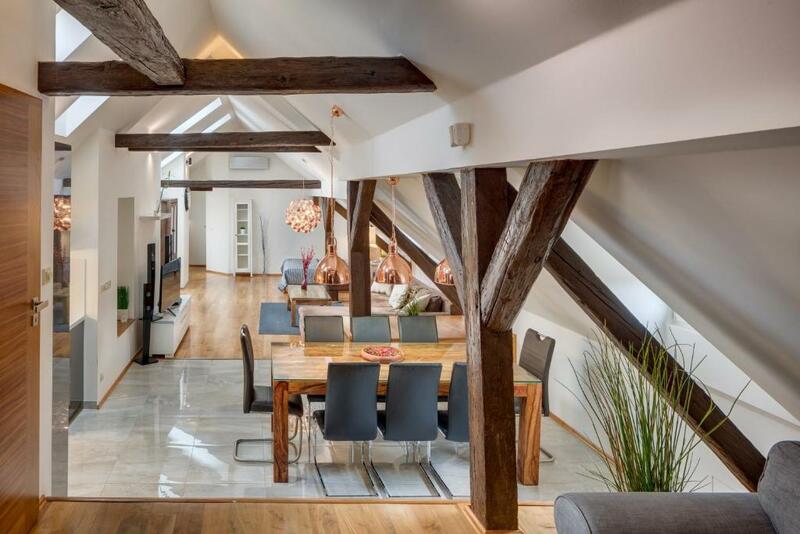 Property was nice, well equipped - convenient location in old town Prague. Collecting the keys was really easy and the apartment was in a fantastic location. The rooms were clean and spacious. The bathrooms were clean and had what we needed. The apartment was beautiful extremely modern we each had our own double bedroom and there were two bath rooms and showers. The location was amazing right in the heart of the old town! Love every second would most definitely go again. We loved Prague. This apartment was amazing. Would sleep 10 but we only had 8 so everyone had a bedroom and we didn’t have to use the lounge to sleep in, which was nice. Great social lounge. 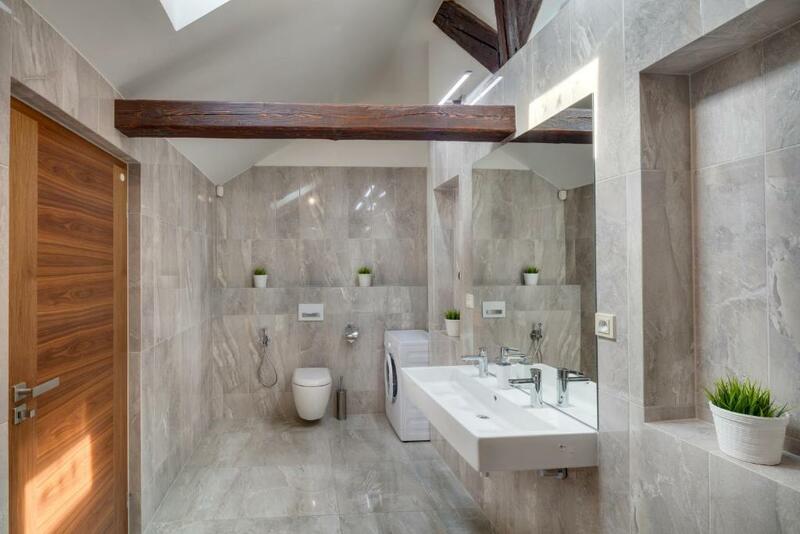 The Bathrooms were both lovely. There is 90 sleeps to apartment door, there is a small lift you can use that goes to the 3 rd floor leaving just about 15 steps To the apartment on the 4th. Good air conditioning. it was good almost everything in the apartment, and the location was also excellent. The apartment was very spacious. The beds were comfortable and the pillows amazing. It had underfloor heating, which after a chilly day roaming was more than welcome. The location was fantastic. When we arrived at the apartment the beds had no quilt covers - we called reception and they arrived with the bedding within 10 minutes. The staff were so friendly - nothing was too much trouble. Would definitely recommend a stay here. 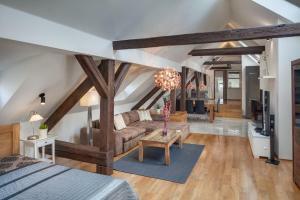 The apartment was if high quality and great location. 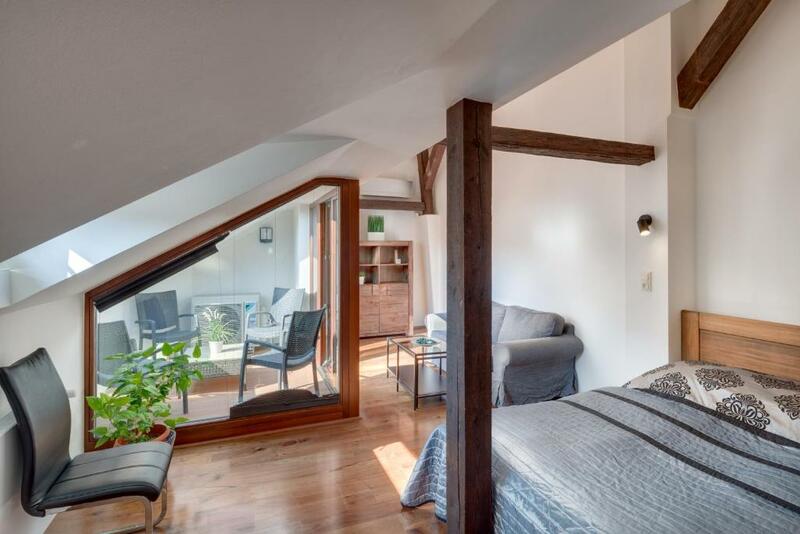 Lock in a great price for Michalska Old Town Apartment – rated 9.3 by recent guests! 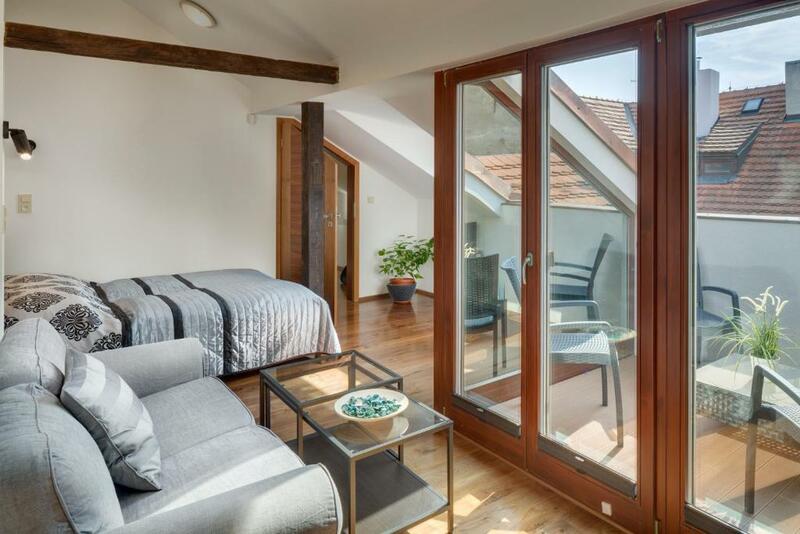 One of our top picks in Prague.Michalska Old Town Apartment is located in Prague, 1.3 miles from Prague Astronomical Clock, in an area where hiking can be enjoyed. This apartment has a terrace. The apartment has a satellite flat-screen TV and 4 bedrooms. A dishwasher, an oven and a microwave can be found in the kitchen and there's a bathroom with bath, free toiletries and a hair dryer. Guests at the apartment can enjoy a buffet breakfast. Speaking Czech, English and Spanish, staff are willing to help at any time of the day at the reception. 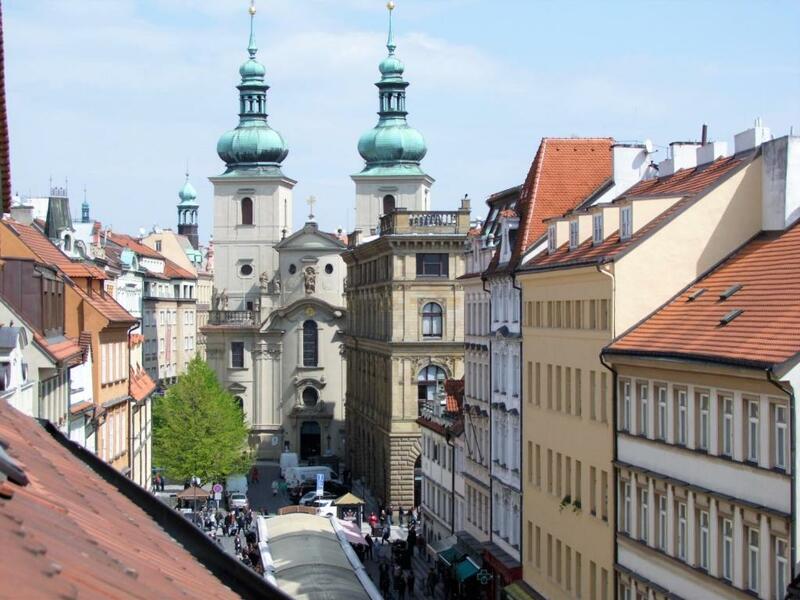 Old Town Square is 1.3 miles from Michalska Old Town Apartment, while Prague Castle is 1.6 miles from the property. 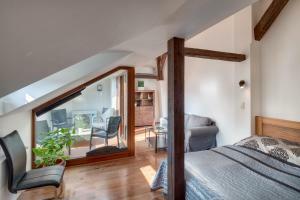 When would you like to stay at Michalska Old Town Apartment? House Rules Michalska Old Town Apartment takes special requests – add in the next step! Michalska Old Town Apartment accepts these cards and reserves the right to temporarily hold an amount prior to arrival. Please inform Michalska Old Town Apartment of your expected arrival time in advance. You can use the Special Requests box when booking, or contact the property directly using the contact details in your confirmation. Please note that check-in and key collection take place at: Štupartská 9, Praha 01 11000. - The entrance to the building does not match at all the apartment standard. It is dirty, old, and require renovation. - I found out later that in order to operate the AC i will have to pay 20 € per day and an additional charge for cleaning. The facility must include the cost of cleaning and any additional charges in the price for guests to estimate snd make the right decision. For anyone wanting to cook in the apartment, I would say the kitchen needs more utensils and pots/pans. The apartment is huge and well equiped. Interior entrance of building needs repair and overall cleanup. Once inside apt, it's quite nice. The front door. It was confusing to open and we all cut our fingers open on it. Everything else but the front door. The personnel at arrival was not on site although it said that there is 24 hrs. office on site. We arrived at 10 pm, it was cold outside and no one was there. We called the number and the lady was rude and told us that they sent an email saying that we need to pick up the keys at another location. She refused to help in any way. We came straight from the airport, had many suitcases and were stranded on the street. We asked if someone could bring the keys and they said "no, but it's just a 10 minute walk to the office, so come and pick them up..." No one knew where to go... Eventually, we had one of us walk to the office using GPS. They would not give us the keys until we gave them 200 dollar cash deposit (no previous mention of that either - so we had to go and get cash first). We found out they did send an email about 40 minutes before arrival while we were on the plane. It took 90 minutes to finally get the keys. I would not recommend this property to anyone - the deceptive way this place was advertised was a great disappointment - definitely not worth the trouble. 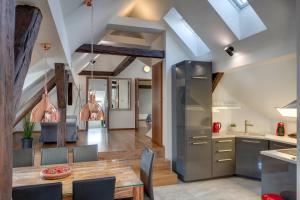 There are many nice places in Prague that will accommodate customers upon arrival. For the money we paid, the service was a disgrace, although the apartment itself is nice. The check out was also a poor experience, although someone who did not speak English finally came to the apartment to collect the keys. We hope to write an online review about our experience to warn people not to fall for this false advertisement. Was beautiful apartment close to everything! Hand rails on the staircase up to apartment not very sturdy and opening of apartment door was hard. We liked everything about the apartment and the location. The only thing negative to say was there were not enough bed covers provided or towels. There was also not enough toilet roll for the 5 of us staying there we had to go and buy more. Everything about the apartment was perfect. This is really a gem find and accomdated 8 people comfortably. Could easily cater for 10 without feeling ontop of each other. Picking the apartment keys up from a different location to the apartment. About 8 mins walk but not the best when you arrive on a late flight and unsure where you are going. 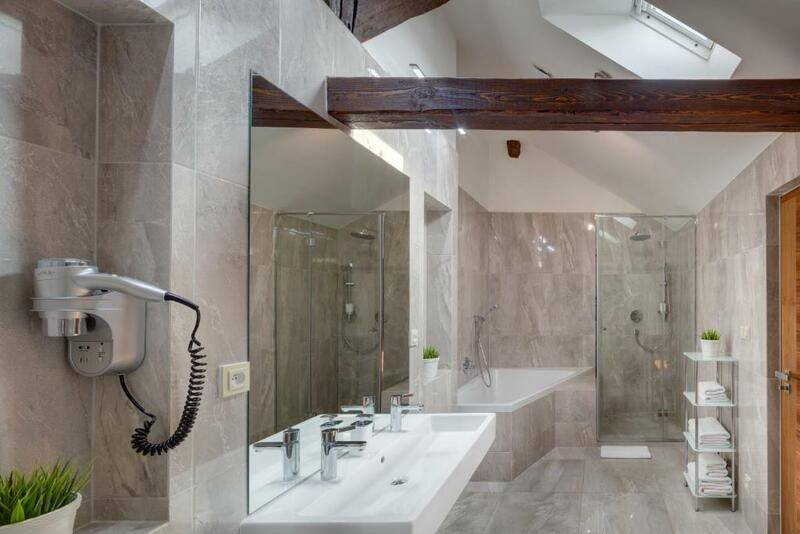 There is no place to put the cloth or towel in the bath room in the living room area, if there is some hooks on the door will be better.